A course designed to lift farm profitability by helping farming women become more active partners in their farming businesses is achieving some outstanding results, according to new research. The Understanding Your Farming Business (UYFB) course funded by the Red Meat Profit Partnership (RMPP) Primary Growth Partnership Programme and run by the Agri-Women's Development Trust has built up the skills, knowledge and confidence of more than 650 farming women since 2014. Independent research by UMR shows that, six months after graduating, 90 per cent of the women were now confident in talking with their partners about the business side of farming operations. Three-quarters said they were now confident in understanding their farm accounts while 78 per cent were now doing financial budgeting with their partner. Diane Falconer, RMPP's Project manager for People Capability, said the research showed women who had completed the course were more actively contributing to their farming businesses. "They are better equipped to ask questions and hold meaningful business conversations both within the farm team and with rural professionals and service support people. These conversations are leading to positive changes such as a greater sharing of decision making, leading to reduced pressure and stress on partners and other farm team members. Many participants were also starting to find their niche in their own businesses." The research also showed that more than two-thirds of the women were now confident in introducing a new idea to be considered for their farming business. More than half said they were now comparing their financial performance against industry benchmarks. Lindy Nelson, executive director for the Agri-Women's Development Trust, said there was strong evidence of improved farming financial literacy and decisions to operate farming businesses more efficiently. "The research shows a shift from thinking about the financial side of the business as a purely administrative task to something that drives strategic decisions. This is leading to a greater sharing of decision making - which helps to share the stress of farming." Since Hawke's Bay farmer Binks McCurdy completed UYFB this year, she has taken responsibility for financial and office management of the business, freeing up partner Dave to focus more on operations on their 1000ha sheep, beef and cropping farm. The couple see the fine-tuning of farm finances as key to moving their business to the next level. "Before, when we've been busy on the farm, the office work sometimes took a back seat," said Binks. "Now we realise the importance of keeping an eye on everything that's coming in and going out. We manage our time better, giving more priority to the office side of the business." Dave is enthusiastic about the new skills and confidence Binksbrings to their business. "I can really see the benefit of creating more efficient office systems and increased financial tracking. Being on the same page has helped both of us plan better and gain confidence in our future ambitions." 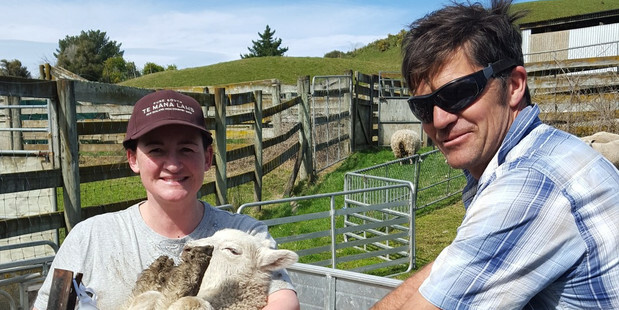 The course was the catalyst for another graduate, Di Cleveland, to leave her part-time job in town to commit full-time to her and husband Jeff's 864ha sheep, beef and deer farm near Oamaru. The couple credit the knowledge and confidence Di gained with improved communication, stronger financial focus, greater organisation and clearer direction. "The course also made me realise that it was time for Jeff and I to become a great dream team for the next 10 years and go for it," she said. Jeff said they have started to streamline things "to make sure we're at the top of our game". "We want to be ready to meet new demands in farming and take opportunities as they come up," he says. "New conversations about the farm have opened up. We talk about things while we're out shifting breaks whereas before it was me by myself. It feels great to be challenged by the new questions Di is asking." Each UYFB course consists of three full-day workshops and an evening graduation ceremony run over four months. 2018 course dates and locations are due out in November. See www.awdt.co.nz for details.